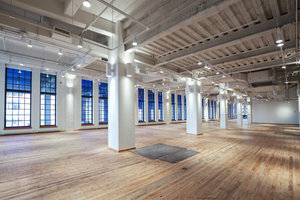 This beautiful loft space located on the 3rd Floor, overlooking the High Line, is perfect for a Corporate Event, Product Launch, Media Event, Holiday Party, Fashion Show or Fashion Showroom. 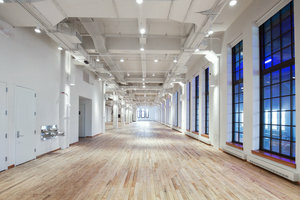 Rows of modern windows line the outward facing wall, creating a bright atmosphere inside. The interior is contemporary and stylish with faded wooden parquet flooring, white walls, ceiling pillars and exposed piping. 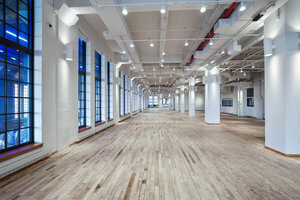 This space offers basic amenities and can accommodate a variety of pop-up event needs. 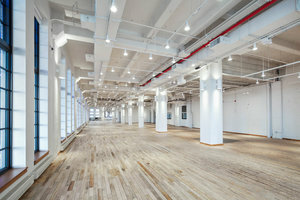 Situated in the fashionable neighborhood of Chelsea and near several popular destinations such as the Standard and the Meatpacking District, this space is in a prime location. It is a great option for those looking to host an attention-grabbing event.